Clinical Cases in Pediatric Dentistry applies both theory and practice to real-life pediatric dentistry cases in a clinically relevant format. 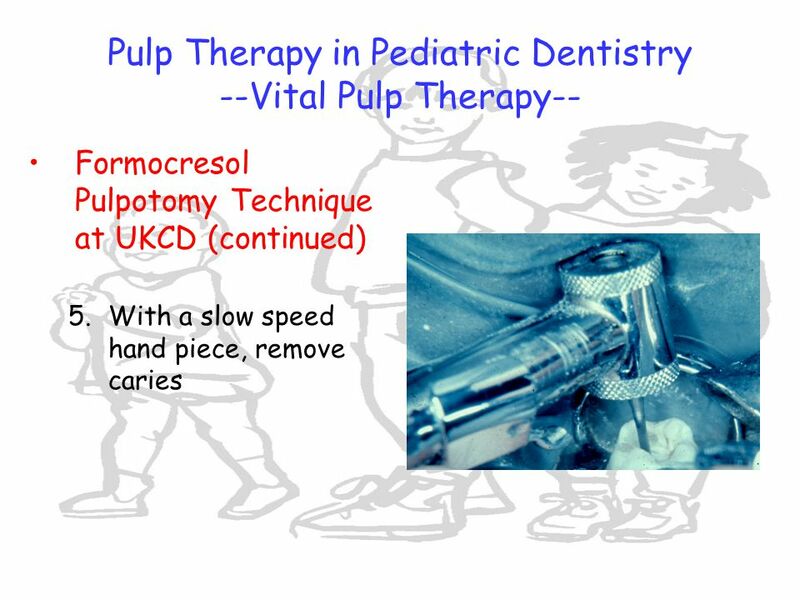 This unique approach supports the new trend in case-based and problem-based learning, thoroughly covering topics ranging from infant oral health to complex pulp therapy.... Professor Fuks was a member of the editorial board of the journal Dental Traumatology from 2006 to 2014 and has been a board member of the Journal of the Israel Dental Association since 1996 and of Pediatric Dentistry since 2011. She is the author of more than 120 articles in peer-reviewed journals, as well as many book chapters. Objective: The aim of this study was to evaluate the influence of using virtual reality (VR) eyeglasses on severity of pain and anxiety during pulp therapy in pediatric patients considering childhood anxiety-related disorders as an important confounding factor in the dental setting. A cross-sectional, observational survey was conducted using a closed-ended, multiple-choice questionnaire evaluating the knowledge and practice of, and attitudes toward, pulp therapy in deciduous dentition, which was formulated and sent to 360 pediatric dentists across India.